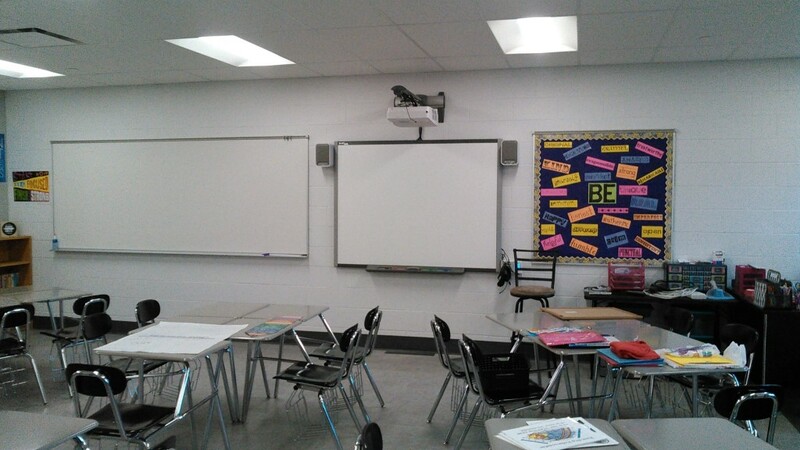 The Community Unit School District 300 returned to school on August 15th. Lamp broke ground in February, and completed renovations and two 9,800 s.f. two-story additions to Gilberts Elementary and Gary D. Wright Elementary Schools on time and under budget. Hampshire High School had a light at their football field come down in late April, and for safety purposes,the remaining lights needed to be replaced in time for football practice at the end of July. Working on soaked grounds from the rains, the area had to be “matted” in order for cranes and trucks to have access. CUSD 300 approved the project which involved demolition of the still standing poles, their foundations, and replacement of the foundations, underground electrical and new lights at the end of May and completion was achieved before the end of July. Throwback one year, Lamp Incorporated completed renovations and additions at Huntley High School for Huntley CSD 158 as Construction Manager. In the span of two years and phases, we finished the $34,957,000 project $433,000 under budget. Phase 1 comprised 22,000 SF of renovations in offices, classrooms, and other areas. Associated site improvements included parking lots and drives. Additionally, athletic field improvements and an athletic entrance were completed. Learn more about the Huntley High School additions and renovations. Would you like to work with Lamp Incorporated on your next project? Contact us today! In December 2011, Lamp Incorporated completed the construction of the new Elgin Community College Health and Life Sciences Building. The 160,450 square foot building was completed 6 months ahead of schedule and $8 million under budget. Lamp Incorporated acted as Construction Manager on the project. Kluber, Inc. was the Project Architect firm. Check out a video that shows construction as it progresses and the final product! Paul Dawson, ECC’s Managing Director of Construction Projects, said, “I’ve known Lamp Incorporated since 1992 when I worked with Earl Lamp on the Visual and Performing Arts Center. They are the most honest contractor that I’ve ever dealt with. ‘Transparency’ is the word I’d like to use for them.” Dawson was impressed with the cost savings of 20 percent on the budget for the Health and Life Sciences building. “That money allowed us to do other things on our referendum,” said Dawson. View photos of the completed Elgin Community College Health and Life Sciences Building. Lamp Incorporated provides expert Construction Management services for successful multi-million dollar building projects, both private and public, throughout Northern Illinois. Are you interested in working with Lamp on your next project? Contact us today. 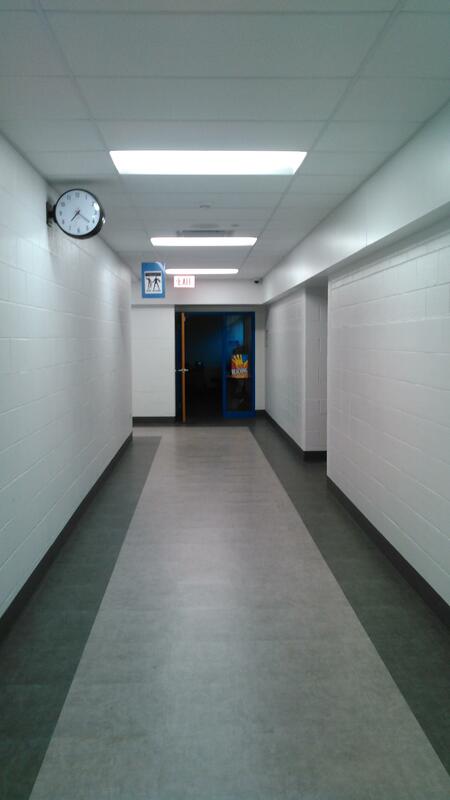 It’s back to school for kids everywhere, including at CUSD 300 Carpentersville Middle School where Lamp Incorporated recently completed the complex and comprehensive renovations, on time and under budget. The renovation consisted of converting the 1952 high school shop area to classrooms. With the additional classroom space, 6th graders are now attending Middle School at CMS for the first time. Lamp Incorporated constructed the original building in 1952 as Dundee High School, and later completed an addition and renovation to convert the High School to Carpentersville Middle School. Would you like to work with Lamp Incorporated on an upcoming project? Contact us today. In 1952, Lamp Construction built Dundee Community High School, a part of Community Unit School District 300. Area population decline in 1982 changed the building to Carpentersville Middle School (CMS). Recent growth over the years on the east side of the district has led to our latest renovation project, converting CMS from a 7th and 8th grade building to a 6th through 8th grade building. In order to make room for these additional students, renovations are required. We are proud to be the Construction Manager on this project. We will be renovating 15,500 square feet of shop areas into classrooms. The project budget is $2,300,000.00 and is scheduled to be completed by the end of July in time for the start of school. We have been working with Community Unit School District 300 for more than 60 years. We love returning to a building that we originally built and has withstood the test of time. We also love partnering with previous clients—it demonstrates their trust in our ability to do excellent work. Chuck Bumbales, Assistant Superintendent of Operations for CUSD 300, states in a letter of recommendation, “In our estimation, the great strength that Lamp has brought to our projects is in the area of site supervision and project scheduling,” and “The schedules provided by Lamp are extremely detailed and all projects have been delivered on time or ahead of schedule,” and finally, “Lamp maintains excellent communication with building staff and district administration. During construction we met weekly on-site to view progress, solve construction related issues, and coordinate building needs and challenges. Lamp anticipates issues, provides appropriate timelines for project adjustments, and provides detailed minutes of the project needs.” Thank you for your kind words, Chuck! If you’d like to work with Lamp Incorporated on your next construction project, please contact us. If you would like more Lamp and construction industry news, please join our eList. In the early 90s, Lamp constructed the Elgin Community College Visual and Performing Arts Center, which is a project we are still proud of today. This projected $40 million project not only turned out beautifully, but we were happy to come in approximately 20 percent under budget, saving around $8 million from the estimated cost. Here are a few photos of the completed project, which has stood the test of time, and has been put to good use over the past 20+ years! Would you like to work with Lamp on your next large construction project? Contact us today! When we are construction managers on a project, we love to hit this combination: early and under budget, even though the structure is complex and the scope increases. So we are so proud to feature the Elgin Community College Health and Life Sciences Building, a state-of-the-art education and training facility that earned the LEED Silver Certification for Sustainability. As construction manager, Lamp was most proud to have worked with an increased scope, but still come in $8 Million under budget and completed the project 9 months earlier than planned so that students could take advantage of the facilities a full semester earlier than originally planned. Learning by Design Magazine described the building best: “A flagship edifice, the facility features a central three-story glass atrium meant to be a glittering ’magnet’ by day and a glowing beacon by night, drawing newcomers to its entrance.” The 160,450 square foot building includes classroom space to accommodate the nursing and dental programs. CISCO Project of the Year for construction. Outstanding Design Award from American Schools and Universities Magazine. Check out more of our Education Projects. Interested in having us manage your construction project? Get in touch with us to see how we can help! We have a soft spot in our hearts for Huntley High School because of the long history of working with the district and its employees. We constructed the entire campus, the original building, and are currently working on the fourth addition to the school since 1997. While we provide the structure, it is what goes on inside those walls that is truly worthwhile. Here is one perfect example of why constructing for educational facilities is so fulfilling. The students at Huntley High School used a drone to record aerial footage of their campus and then edited it into this beautiful video. We couldn’t be more proud to hear such great feedback regarding the Huntley High School renovations. One of many large changes was the addition of the field house. This 55,000 square foot structure features multiple courts, an indoor track, and all the space the athletes need to get ready for games. Principal Scott Rowe toured the new facilities recently and share a kind quote with the Northwest Herald. Rowe stated, “It’s very surreal that it’s actually even happening. I’m humbled by how massive of a project it’s been and how smoothy it’s gone”. You can read the rest of Rowe’s statements and the Northwest Herald’s full article here. Another major renovation phase included the new Learning Resource Center. It was designed to be a modern, technologically advanced, collaborative area for students to take advantage of technology. While books are still readily available, the goal was to provide students with the tools to learn that match the 21st century. “If you’re wondering what the library of the future looks like, this is it,” stated Huntley District 158 Superintendent John Burkey in a recent article from the Daily Herald. To read the full Daily Herald article, click here. You can stay tuned to all of the Huntley project updates here. JOHNSBURG – Johnsburg School District 12 officials are close to initiating the bidding process for a $41 million facility project years in the making. After numerous community informational sessions and presentations of preliminary designs, board members are now in the final stages before taking the project to bid. Board members reviewed at Tuesday’s meeting the roughly $41 million project that will incorporate third- and fourth-grade classrooms in the the junior high building and expand the high school. The junior high renovations carry the larger price tag of $20.6 million as James C. Bush Elementary School is set to close and merge with the junior high to create a building that houses third through eighth grades. More than 20 new classrooms could be constructed, with the majority being housed in an expansion on the northwest side of the building. Dedicated cafeterias for third through fifth grades and sixth through eighth grades would be housed in the center of the building, where an expanded gym also would be built for sixth through eighth grades. Additional classrooms for the junior high grades will be built on the east end of the building. Johnson said no decisions have been made on the future of the Bush Elementary building. High school renovations are projected to cost $18.8 million with the majority of improvements occurring in the gymnasium that will be expanded and the front entrance that will have a new secured vestibule. There are no such security features presently at the high school. The designs also include anywhere from six to 12 classrooms depending on the cost and improvements for the art programs, including a revamped backstage area in the auditorium and a workshop to build sets. Board President Thomas Low said the steering committees, which included staff and community members, did a great job guiding a design process that has been well received across the board. Low said he doesn’t expect any major changes to the design and the features that are ultimately incorporated will depend on the bids they receive. Construction could start in the summer with full completion of the project targeted for the beginning of the 2016-17 school year.